Global engineering group Cavotec has won a number of significant orders for its advanced crane technologies from the world's leading crane manufacturers, as well as orders for its innovative shore power systems. 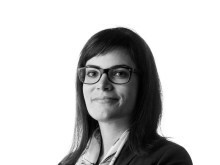 The orders have a combined value of approximately EUR 10 million. 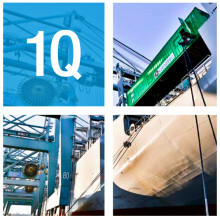 "These projects highlight the degree of co-operation Cavotec enjoys with equipment manufacturers, and the world's largest port operators, as a preferred supplier of a variety of innovative, mission-critical systems," says Ottonel Popesco, Cavotec CEO. 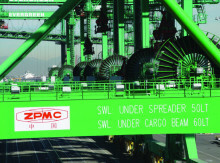 The Group has been awarded a total of five orders by one of the world's largest port equipment manufacturers ZPMC, the most substantial of which is for cable reels that will supply electrical power to 72 ZPMC Automated Stacking Cranes (ASCs) for use at the Pasir Panjang Terminal at the Port of Singapore (PSA). 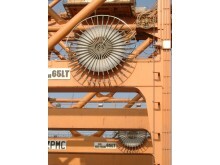 For the same terminal, Cavotec will provide 28 spreader cable reels for ship-to-shore (STS) container cranes. The Pasir Panjang Terminal is Singapore's newest and most advanced terminal, with the capacity to load and offload the world's largest container ships. The Port of Singapore is the world's second busiest port in terms of container handling, reporting 33.55 million Twenty-foot Equivalent Unit (TEU) movements in 2014. 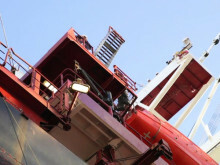 For the Port of Singapore's international arm, (PSA International), Cavotec is to deliver power and spreader cable reels for four ZPMC STS cranes. The cranes are destined for the Port of Genoa in Italy, the country's largest port by cargo volume, and second largest by TEU throughput. 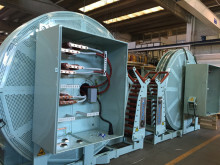 These reels will be the largest ever manufactured by Cavotec Specimas, one of Cavotec's eight Centres of Excellence located worldwide, and serve as a reminder of the Group's capacity to innovate and meet growing customer requirements in terms of scale, performance and technical complexity. 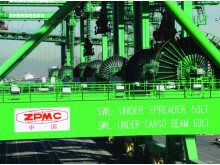 The fourth of the contracts from ZPMC is also for PSA International, and will see Cavotec supply gantry reels for eight Electric Rubber Tyred Gantry (ERTG) cranes for a container berth at the Port of Mersin in Turkey, the country's largest port. Cavotec has also won an order to supply three gantry reels and three spreader reels for three ZPMC ship-to-shore container cranes that will be introduced at the Port of Lomé in Togo, operated by TIL, the terminal operating business of global shipping group MSC. 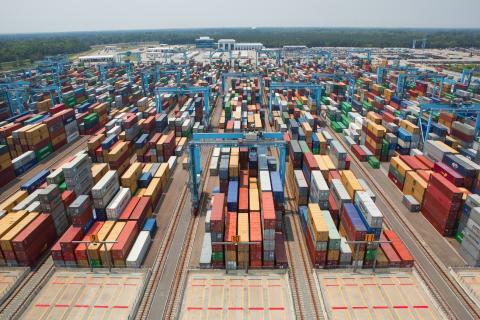 This project indicates Cavotec's readiness to cement its already strong position in the African ports sector, one where, along with South East Asia, investment growth is expected to be significant in the years ahead. In further success for Cavotec's ERTG technologies, the Group has been awarded orders to supply cable equipment for 11 automated Konecranes RTGs for Indonesia's port authority, Pelindo. 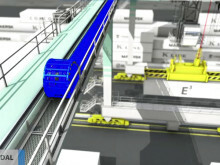 For the same customer, Cavotec will supply motorised cable reels for five shore-to-ship (STS) container cranes. For leading crane manufacturer Kalmar, Cavotec is supplying eight sets of motorised cable reels for three separate applications. 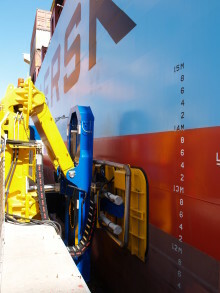 In Australia, Cavotec is supplying leading OEM Tenova Takraf with cable reels, hose reels and related equipment which will be installed on three off-coal stacker machines at the Port of Kembla in New South Wales. This project is particularly significant given the current low levels of equipment investment in the mining sector. 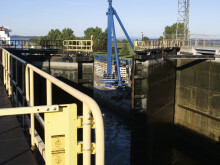 As well as being a key supplier of crane technologies, Cavotec's Alternative Maritime Power (AMP) systems are also leading innovation in the shore power segment. 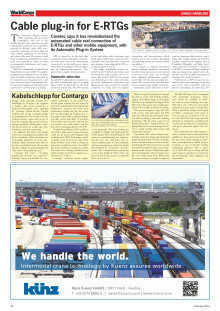 Its mobile, fixed and ship-based, low- and medium-voltage equipment are used by ports and shipping lines worldwide. 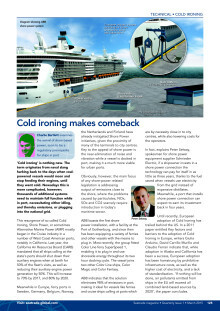 Shore power, also know as cold ironing, enables the connection of vessels in port to electrical supply, meaning ships' engines can be switched off thereby considerably reducing emissions in ports and surrounding communities. Cavotec has won two separate orders from a European shipowner: one for six AMP reels for fixed installations; the other for AMPTainer equipment. 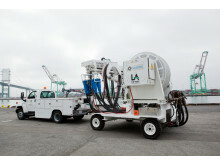 Cavotec's innovative AMPTainer units are containerized shore power solutions that enable the connection of vessels to electrical power. 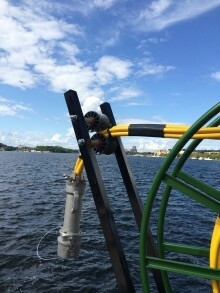 This solution has proven to be very popular as it minimizes the modification work required on the vessels to accommodate the shore power equipment. 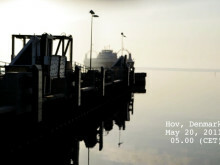 The Group has also recently been awarded an order for a variety of AMP equipment for a Greek ship owner.